Right now, I’m at Brisbane’s Federal Court lodging a case to challenge the government’s irresponsible approval of the Carmichael coal mine. We said we’ll do everything we can to stop this mine and protect the people, wildlife and places we love. That’s why we’re challenging Federal Environment Minister Hunt’s decision in court. If it goes ahead it will be one of the biggest coal mines in the world. Burning the mine’s coal will create billions of tonnes of pollution, make climate change worse and irreversibly damage the Great Barrier Reef. The Turnbull government’s decision undermines global efforts to cut pollution right before world leaders come together for the UN climate summit in Paris. At this tipping point, we should ban new coal, not build it. Will you donate $20 to help our legal challenge to stop this mine once and for all? Here’s why we’ve got a case. Minister Hunt acknowledged that climate change is the biggest threat to the Reef. 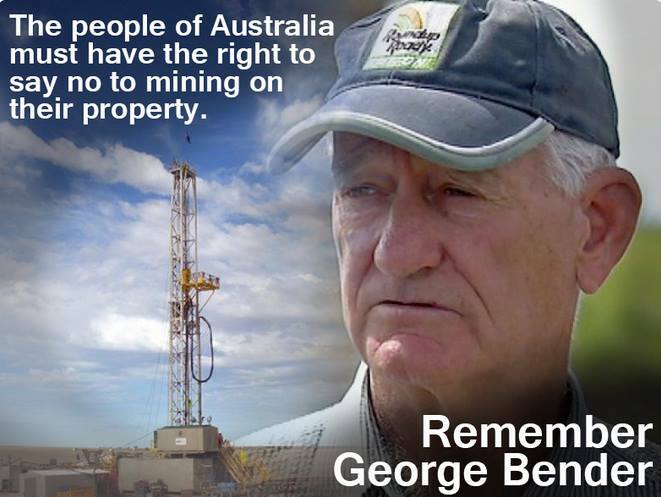 Yet he did not properly consider the impacts on the Reef caused by pollution from burning the mine’s coal. It’s senseless. Scientists warn climate change will kill masses of coral this summer and warmer waters could bleach the Reef beyond recognition in just a few decades. It takes courage to take on the government and the coal industry. But we've got plenty of that and the law on our side. We all have a responsibility to hold the government to account for failing to uphold the law and protect our beautiful Reef. Just $20 from you will help us reach our goal of $40,000 for legal fees to stop this mine – and protect our Reef. In breaking news Friday, US President Obama rejected the Keystone XL pipeline – proposed to pump tar sands from Canada. Communities ran an incredible campaign – and won! Bill McKibben said President Obama is the "first world leader to shut down a big project on climate grounds. That's huge.” We think Prime Minister Turnbull should take note. Every day, people across Australia and across the world are moving themselves away from the dirty coal era and into a bright future powered by clean energy. Together, let’s stand for clean air and water, a healthy Reef and a future powered by sun, wind and waves. The Australian Marine Conservation Society (AMCS) is today urging Minister Greg Hunt to reject the Abbot Point port expansion after evidence emerged that the burning of coal from the Carmichael mine, which the Port expansion will service, risks irreversibly damaging the Great Barrier Reef by producing more emissions than the whole of New York. AMCS Reef Campaign Director Imogen Zethoven said new figures from The Australia Institute show that the burning of the coal due to be produced from Adani’s Carmichael mine would produce seventy nine million tonnes of CO2 a year which would cause increased warming and acidification of the Reef’s waters. “How can we let this project go ahead when it will lead to increased damage to the Great Barrier Reef? “The Great Barrier Reef is already under pressure from coastal industrialisation, chemical farm runoff and a massive coral bleaching events loom. The last thing we want to do is to mine and burn all this coal. “Scientists say there is a significant probability are predicting that this summer the Reef will face a major coral bleaching event as a result of a massive underwater heat wave. “If the Reef’s waters remain too hot for too long, coral bleaching occurs. “This project will risk the health of the Great Barrier Reef, the 70,000 jobs it provides and the millions of tourists that visit it each year. ““The Great Barrier Reef will also be impacted by this project as hundreds more coal ships every year plough through the Reef’s waters. “The Turnbull Government needs to act now to save the Reef from the impacts of mega ports and monster mines. “The Government must show that it cares about the future of the Reef and stop the endless special treatment this project has received. Natural Resources and Mines Minister Dr Anthony Lynham’s media release claiming new laws will protect waterways and farmers’ rights is ‘simply media spin’, says water expert, Tom Crothers. Mr Crothers, a former General Manager of Water Allocation and Planning in the Queensland Government, said the ALP had made ‘an unequivocal’ pre-election promise to protect water and farmers and it was using ‘diversionary tactics ’ to try to save face. “Before the election, the Queensland ALP gave firm written commitments that it would ‘repeal the Newman Government’s water laws’ and promised to prevent ‘over-allocation of Queensland’s precious water resources’,” Mr Crothers said. Mr Crothers said the government’s bill introduced today - the Water Legislation Amendment Bill 2015 – would only delay for a few months the introduction of the LNP’s draconian changes. The Newman Government introduced laws in late 2014 to give miners a statutory right to take underground water. The relevant provisions were set down in Part 4 of the Water Reform and Other Legislation Amendment Act 2014 (WROLAA). Although the Act passed, Part 4 has not yet been legally commenced. “Minister Lynham admitted in the media release that the State Government would retain the proposed groundwater framework in the WROLA Act. That is bad for water resources and bad for Queensland’s landholders who are dependent on groundwater,” he said. Minister Lynham claimed that the statutory obligations for miners to enter into Make Good Agreements would address all landholder’s concerns with bores impacted by mining operations. “Minister Lynham fails to recognise or understand that the current Make Good Agreement framework is not delivering the goods – it’s flawed, inequitable and totally unfair on landholders,” he said. Mr Crothers yesterday released a major report titled, Report on Statutory Rights to Groundwater warning that providing miners with a statutory right to take water was likely to result in the ‘unsustainable take of groundwater’ and may lead to ‘total loss of water supplies’ for other water users, including farmers and graziers. “The Queensland Government is giving up the powers which it now has to prevent miners from extracting vast quantities of water to unsustainable levels during mining operations,” he said. “The rights of landholders to object to the granting of water licences will be lost and the role of the Land Court as a crucial independent arbiter will also be removed. The study, Report on Statutory Rights to Groundwater, was commissioned by Lock the Gate Alliance. The Executive Summary of the report is available here. Copies of the full report are available on request. Over 600 hundred people joined farmers and Traditional Owners over the weekend in a historic gathering in opposition to the proposed Watermark open cut coal mine on the Liverpool Plains, declaring they will return to support peaceful protest at the site if the mine goes ahead. The mine is proposed by Shenhua Australia and won approval to go ahead this year from both the New South Wales and Federal Governments, prompting a storm of protest around the country, given the importance and rarity of the black soils and productive aquifers of the region for food and fibre production. Hundreds of people from city and country joined political supporters Tony Windsor, Jeremy Buckingham MLC and Senator Jacqui Lambie taking part in a Harvest Festival, learning about the cultural, ecological and agricultural values of the area, training to take peaceful protest against the mine and visiting the barley fields that are slated to become part of the open cut pit. A proposal to extend one of Austar coal mine’s development consents to provide for an additional five years of mining until 2022 will be on exhibition from today for community feedback. The Department of Planning and Environment is keen to hear the community’s views on the application which also seeks approval to include three new longwall panels at the mine located 10 kilometres from Cessnock. Submissions can be made from Tuesday 10 November until Tuesday 24 November 2015. A glacier in northeast Greenland that holds enough water to raise global sea levels by more than 18 inches has come unmoored from a stabilizing sill and is crumbling into the North Atlantic Ocean. Losing mass at a rate of 5 billion tons per year, glacier Zachariae Isstrom entered a phase of accelerated retreat in 2012, according to findings published in the current issue of Science. The research team used data from aerial surveys and satellite-based observations acquired by multiple international space agencies. The highly sensitive radar sounder, gravimeter and laser profiling systems, coupled with radar and optical images from space, monitor and record changes in the shape, size and position of glacial ice over long time periods, providing precise data on the state of Earth's polar regions. The scientists determined that the bottom of Zachariae Isstrom is being rapidly eroded by warmer ocean water mixed with growing amounts of meltwater from the ice sheet surface. "Ocean warming has likely played a major role in triggering [the glacier's] retreat," Mouginot said, "but we need more oceanographic observations in this critical sector of Greenland to determine its future." "Zachariae Isstrom is being hit from above and below," said senior author Eric Rignot, Chancellor's Professor of Earth system science at UCI. "The top of the glacier is melting away as a result of decades of steadily increasing air temperatures, while its underside is compromised by currents carrying warmer ocean water, and the glacier is now breaking away into bits and pieces and retreating into deeper ground." Zachariae Isstrom neighbors another large glacier, this one named Nioghalvfjerdsfjorden, that also is melting rapidly but is receding at a slower rate because it's protected by an inland hill. The two glaciers make up 12 percent of the Greenland ice sheet and would boost global sea levels by more than 39 inches if they fully collapsed. "Not long ago, we wondered about the effect on sea levels if Earth's major glaciers were to start retreating," Rignot noted. "We no longer need to wonder; for a couple of decades now, we've been able to directly observe the results of climate warming on polar glaciers. The changes are staggering and are now affecting the four corners of Greenland." The NSW Department of Planning and Environment today announced the public exhibition of proposed amendments to the Standard Instrument for Local Environmental Plans (SILEP). The proposed amendments are part of the Department’s ongoing approach to improving planning policy to make it easier to use and understand. • definitions of ‘building height’ and ‘livestock processing industry’. The revised definition of ‘livestock processing industry’ helps processors to do business with suppliers from beyond their surrounding districts and encourages more specialised processors to trade with a broader base of customers. A Departmental spokesperson encouraged interested parties to have their say on the proposed changes, which are on exhibition until Wednesday 18 November. “These proposed amendments are intended to improve the clarity, performance and implementation of the SILEP, while cutting red tape,” the spokesperson said. • The offices of the Department of Planning and Environment at 23-33 Bridge St, Sydney. • by post to the Director, Policies and System Implementation, GPO Box 39, Sydney, NSW 2001. One of the conditions on titles is that title holders must undertake community consultation according to the guidelines set out by the Division of Resources and Energy (DRE). The DRE is currently reviewing its Guidelines for Community Consultation Requirements for Exploration and the associated community consultation reporting information. A draft of the new Exploration Code of Practice: Community Consultation is now available for public comment. • incorporates detailed guidelines on the minimum requirements for the Annual Community Consultation Report (these are also supported by Community Consultation Plan provisions which outline the content of a plan, and its benefit in informing the annual reporting requirements). The draft Code will apply to all titles (coal, minerals and petroleum) issued after the publication of the Code, through an amended condition of title. The community consultation conditions on minerals titles will be amended to be consistent with those for coal and petroleum. • where the activity is of greater impact, then additional community consultation will be required, proportional to the impact and in keeping with those required for other resources. Submissions received before the 30 November, 2015 will be considered in the finalisation of the draft Code. If you have any questions about the process, or for further information, please contact Nicola Robinson by email at consultationcode.submissions@industry.nsw.gov.au or phone 02 4931 6672. The NSW Government is seeking feedback on draft Guidelines for the Economic Assessment of Mining and Coal Seam Gas Proposals. The guidelines have been updated to ensure economic assessments are more robust and consistent across NSW. In particular, the guidelines will have a greater focus on the impact of the project on the local community, as well as the state. Economic assessments are used to inform consent authorities about the economic impacts of a major project, and are one of a number of factors considered in an Environmental Impact Statement (EIS). View and comment on the revised guidelines on the NSW Planning and Environment website until 24 November 2015. Sustainable Ports Development Bill 2015 Passes in QLD. New laws banning the sea dumping of industrial dredge spoil have passed in the Queensland Parliament in one of the most significant conservation victories ever for the Great Barrier Reef, said WWF-Australia and the Australian Marine Conservation Society. WWF-Australia CEO Dermot O’Gorman said that, for more than a century, dumping huge amounts of dredge spoil in Reef waters was the norm. But the continuing decline of Australia’s national icon sparked an international campaign to end this out-dated practice. “For everyone around the world who cares about the Reef this is a moment to savour,” said Mr O’Gorman. “We’ve stopped up to 46 million cubic metres of dredge spoil from being dumped in Reef waters in coming years. “That’s enough dredge spoil to fill 4.6 million dump trucks. If you lined those trucks up end-to-end on Highway 1 they would circle Australia three times. “This is a huge win for people power. We thank the scientists, mums and dads, Australians young and old, and concerned citizens around the world who have all contributed to this victory. And we thank the Federal and Queensland Governments for listening and acting,” he said. AMCS Reef Campaign Director Imogen Zethoven said: “The dumping ban becoming law sits alongside the establishment of the Great Barrier Reef Marine Park, the World Heritage Area and the green zones as landmark moments for Reef protection”. In June the Federal Government banned the dumping of dredge spoil in the Great Barrier Reef Marine Park. But in recent years about 80% of dumping has occurred outside the park, closer to shore. The Queensland Government’s Sustainable Ports Development Bill now extends protection to the whole World Heritage Area. It also restricts major new capital dredging to Townsville, Abbot Point, Gladstone, and Hay Point/Mackay. WWF-Australia and AMCS thanked the Liberal-National Party Opposition and two cross benchers for joining the government to support the Ports Bill. “It’s particularly heartening to see genuine bipartisan support for the new law, since it fulfils key commitments made to the World Heritage Committee in the Reef 2050 Plan. The Queensland LNP should be congratulated for strengthening their position on Reef protection,” Ms Zethoven said. Ms Zethoven said many challenges remained. “The latest dredging plan for Abbot Point could be approved any day, the promised ban on transhipping has not yet been achieved, the Ports Bill doesn’t cover dumping of dredge spoil from smaller projects like marinas, and each year about one million cubic metres of spoil from maintenance dredging is dumped in Reef waters,” she said. AMCS and WWF want to work with the Queensland Government to reduce that volume per year and minimise the impacts. The Australian Government will open a new groundwater purchase tender in the Queensland Upper Condamine Alluvium on 30 November 2015. Interested groundwater licence holders will have until 10 February 2016 to make an offer. The tender will be open to owners of groundwater water licences from all four sub-areas of the Central Condamine Alluvium and to owners of tradable groundwater licences in the Dalrymple Creek Alluvium Groundwater Management Area and Oakey Creek Groundwater Management Area. The tender will be run as an open competitive tender within a budget of up to $10 million. The Government will be seeking best value for money. This groundwater purchase tender will not contribute to the 2750 gigalitre surface water recovery target; however, it will help to deliver on the Government’s commitment to bridge the gap to the groundwater Sustainable Diversion Limits in the Basin Plan. There remains a groundwater gap to bridge in the Upper Condamine Alluvium, and these purchases are an important step towards long term sustainability for groundwater irrigators in the region. This is the only groundwater recovery required in the Basin Plan and its purpose is to protect the productive base in the area. Further information including Request for Tender document and application form will be made available when the tender opens on 30 November 2015 at www.environment.gov.au/waterpurchasing or by calling 1800 218 478. Please note that on 21 September 2015, responsibility for water policy and resources was transferred to the Department of Agriculture and Water Resources - Administrative Arrangement Order made on 21 September 2015(link is external). This tender is being held by the Department of Agriculture and Water Resources; however, as a temporary measure, documents for this tender will be hosted on the Department of the Environment website. The NSW Department of Planning and Environment today announced the publication of two final Integrated Mining Policy guidelines. • help manage the environmental and social impacts of mining. A spokesperson for the Department of Planning and Environment said the policy helped address concerns about the complexity of the system for assessing major mining projects. “The Integrated Mining Policy helps make the system simpler by clarifying the Department’s expectations, ensuring rigour in assessments and maintaining high standards of community consultation,” the spokesperson said. • Annual Review Guideline that brings together the annual reporting requirements of the Division of Resources and Energy and the Department of Planning and Environment into a single, concise document. Stage 1 and 2 of the Integrated Mining Policy were exhibited for public comment in mid-2015. The final guidelines took these comments into account and the document has been amended where appropriate. Guidelines for the economic assessment of mining and coal seam gas proposals are currently on exhibition until 24 November. Other IMP documents, such as the Planning Agreement Guideline, are being revised by the Government following public consultations. All documents will be published once finalised. Once all the IMP documents are finalised, the Government will consult with stakeholders about the implementation process. If there is any inconsistency between the IMP and the conditions of existing approvals, the requirements of an approval will take precedence. Listing of the Swift Parrot as Critically Endangered by the International Union for the Conservation of Nature (IUCN) today recognises that the species is rapidly heading for extinction. “The listing acknowledges that logging the Swift Parrot’s breeding habitat in Tasmania is driving the species to extinction,” said Samantha Vine, Head of Conservation at BirdLife Australia. Swift Parrots nest only in Tasmania and require large old eucalypt trees for nesting and feeding. They are one of only three migratory parrots on the planet and migrate to southern Australia in the winter months. The ongoing loss of habitat by forestry activities is documented in the National Recovery Plan for the species as the main threat to their survival. 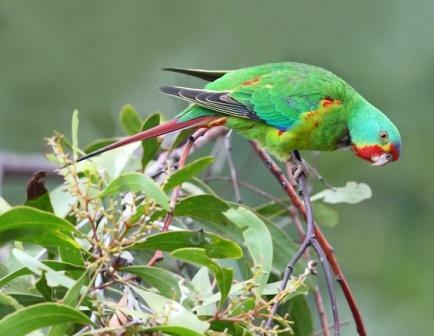 Logging of Swift Parrot breeding habitat continues despite the species perilous situation under a deal between the Tasmanian and Commonwealth Governments, known as the Regional Forest Agreement (RFA). The RFA deal exempts the Swift Parrot from the protective provisions of the Environment Protection Biodiversity and Conservation Act (EPBC), which is in place to protect nationally endangered species. “The Swift Parrot situation is a case study on what not to do,” said Samantha. “It shows that handing Commonwealth approval powers to States, which have inherent conflicts of interest, just doesn’t work for protecting matters of national environmental significance”. BirdLife Australia says today’s Announcement should act as a call to action. To learn more about how you can get involved in the recovery effort for these and other threatened birds, visitwww.birdlife.org.au/bird-profile/swift-parrot. Preparations for an ecological burn in the unique Byron Bay Dwarf Graminoid Clay Heath within Arakwal National Park continue as part of the Restoration Management Plan for the threatened endangered ecological community. NPWS Byron Coast area manager Sue Walker said as a preliminary measure the National Parks and Wildlife Service (NPWS) will/is remove native species, including trees, that don’t typically occur in the Byron Bay Clay Heath. “Encroaching native species compete for resources and can smother the Byron Bay Clay Heath and threaten its long term survival,” Ms Walker said. “The Byron Bay Clay Heath consists of low-growing (to 50 cm tall) woody shrubs, grasses and grass-like plants with patches of taller shrubs, and is classified as an Endangered Ecological Community protected under the NSW Threatened Species Conservation Act 1995,” she said. 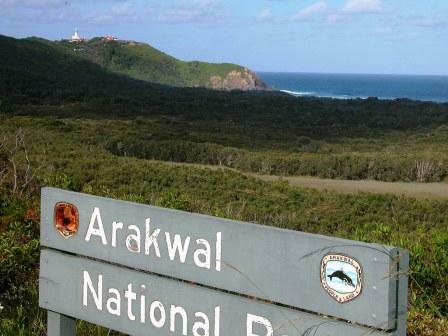 “Fern-leaved Banksia, Hairy Bushpea, Kangaroo Grass and Broad Sword Sedge are among the most common of its many plant species and approximately 64% of the EEC is located within Arakwal National Park. “Not only is the clay heath unique but it supports threatened species such the Byron Bay Donkey orchid and the Dwarf Heath Casuarina which are only found in this unique vegetation community. “The Byron Bay Clay Heath is threatened by environmental weeks, urbanisation, inappropriate fire regimes and encroachment by other native species. “In May 2015 NPWS undertook a hazard reduction burn in the north east of the park which included remnant Byron Bay Clay Heath EEC. “An ecological burns planned for the end of Milne Street and below the Paterson Hill Water tower will further halt the decline of the Byron Bay Clay Heath EEC later this year,” Ms Walker said. As predators and mystery illnesses drive turtle populations in Australia to extinction, Western Sydney University scientists are asking Australians to join the fight during Turtle Month using their smartphones. November is Turtle Month, a dangerous time of year for turtles as they leave the safety of the water to nest. To help pinpoint the location of turtles across Australia, Western Sydney University researchers have launched TurtleSAT , a mobile app and website to log sightings of turtles, alive and dead. "By knowing where turtles are crossing roads or making their nests, we can introduce new measures to protect them," says Dr Ricky Spencer, from the School of Science and Health. "As a result of Turtle Month last year, we had more than 1000 recordings on TurtleSAT, which resulted in the construction of road signs to warn drivers of areas where turtles are crossing." "Conservation agencies are now directing resources into managing nesting grounds, rather than broad-scale poison baiting. This is Citizen Science in action." For Turtle Month in 2015, TurtleSAT has some unique major prizes for Citizen Scientists. Everyone who records a sighting will go into the draw to receive a series of amazing drawings and photos. Dr Spencer says time is running out for turtles around Australia. "The Bellinger River Snapping Turtle- a species over two million years old- was in healthy numbers in January this year, but by March it was close to extinction," he says. "Throughout most of Australia, predation on nests and nesting females is extreme, with foxes able to destroy up to 100 per cent of turtle nests in an area." Dr Spencer says turtles perform important functions in the ecosystem. "They are top predators and major scavengers and if they disappear like they have in the Bellinger River, then water quality will be affected," he says. "The good news is there is hope. If people around Australia record their turtle sightings through TurtleSAT, we can take measures to protect the fragile populations still left, and help the animals recover." To become a Citizen Scientist and have a chance of winning these unique prizes, just download the App. Keep up to date with news and alerts via Facebook, Twitter and Instagram (search TurtleSAT). New research by Western Sydney University has overturned our understanding of a key process occurring in every living cell, laying the foundation for new treatments in diseases as diverse as diabetes and Alzheimer's. Molecular physiologist, Professor Jens Coorssen in the School of Medicine, questioned the orthodox view of how a single cell expels proteins into the fluid outside the cell walls – a process called exocytosis. "Part of the problem with our understanding of exocytosis is we haven't pulled apart the process sufficiently to reveal all the steps and the full molecular activity," says Professor Coorssen. "We have a cartoon understanding of exocytosis when we need a high definition movie to reveal what is going on - what are the key molecular players and what roles are they playing. "The more components we understand the better handle we'll have on potential drug targets in the future." To forensically examine exocytosis, Professor Coorssen first strips things back to basics. He wants to study it without the 'white noise' of other cellular processes. "There's a lot going on at the cell membrane. There are many proteins and enzymes present but we need to weed out those that aren't playing a role while also zeroing in on those that are active in exocytosis. "Selective small molecules (drugs) provide an effective tool to study the biological effects of critical enzymes and lipids – the building blocks of cells – on exocytosis," he says. For his cellular model Professor Coorssen turned to an unlikely source. To an untrained eye there may not be much in common between us, and sea urchins, but Professor Coorssen saw past the superficial, down to the molecular level. "Sea urchin cells are genetically similar to human cells, and the cellular processes are conserved and clearly defined. 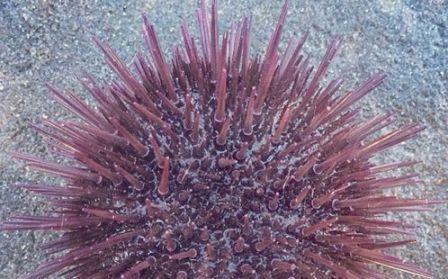 The unfertilized sea urchin egg is thus an ideal model to study," he says. "Using the sea urchin eggs, we were able to identify that a key molecule, phosphatidic acid, actually does not play a direct role in the late steps of exocytosis as had been previously thought. Rather it helps prepare the cell and influences the efficiency of the process. "Phosphatidic acid's critical role in modulating exocytosis thus happens earlier in the process. Understanding the timeline of this fundamental cellular process enables it to be effectively targeted in a range of disorders." This more complete picture of exocytosis revealed by Professor Coorssen and his colleagues will lead in the future to more effective drugs with fewer side effects and to the fine tuning of dietary and lifestyle changes to help us live healthier lives. The research, conducted in collaboration with Dr Tatiana Rogasevskaia from Mount Royal University in Canada, was published in The Journal of Biological Chemistry. The recent baby formula shortage in Australia highlights the unethical marketing practices of infant formula manufacturers across the world, according to an infant feeding expert from Western Sydney University. Dr Karleen Gribble, from the School of Nursing and Midwifery, researches in areas including breastfeeding, infant feeding in emergencies and the marketing of infant formula. She says the recent shortage (opens in new window)Opens in a new window of infant formula in Australian supermarkets, sparked by individuals snapping up vast supplies for grey-market export to China, shows how persuasive and misleading marketing claims have dramatically changed infant feeding practices in China, to the detriment of mothers and babies. "Infant formula sales in China have increased by more than ten fold in the last decade as parents seek to enhance the prospects of their child," she says. "The one child policy has meant that two parents and four grandparents may see a single baby as holding the future of their whole family. They are prepared to do everything to ensure their one precious baby has a successful life" she says. "Formula marketers have tapped into this desire to falsely claim their products enhance brain development and health. Child prodigies and sports stars abound in marketing campaigns, and hospitals are recruited to promote formula brands to new mothers in hospitals." Dr Gribble says Australian formula manufacturers have cultivated a "clean and green" image to differentiate themselves from products manufactured in China, and the current formula shortages in Australia suggest that they have been successful." "China used to have a strong breastfeeding culture which had protected the health and development of babies – this culture has been decimated in recent years and formula feeding has become normal practice," she says. Dr Gribble says the change in infant feeding practices is harming babies. "Babies that are formula fed are much more vulnerable to becoming seriously ill with infections, even in the best of circumstances," she says. "In a country like China, where there is still much poverty and an undeveloped health system, many infants will unnecessarily die as a result of not being breastfed"
Dr Gribble says it's not only Chinese parents who are persuaded by misleading advertising- it is also a problem in Australia. She says current restrictions on formula marketing in Australia only relate to formula designed for children under the age of one, meaning companies are able to make whatever claims they like with formula for older babies. "Misleading claims that toddler formula promotes the health and development of children abound," she says. "These products are packaged and branded identically to infant formulas and parents do not easily distinguish between the two. What this means is that parents in Australia are prey to some of the same practices as parents in China." "The agreement regulating the marketing of infant formula in Australia is currently being reviewed by the ACCC. Health advocates are alarmed that it appears that the status quo is going to be maintained." I am pleased to announce that in a first for the Asia-Pacific region, Australia and China are working together in an on-the-ground health project in Papua New Guinea. The innovative cooperation project brings together the Governments of Australia, China and Papua New Guinea to tackle Malaria. This follows the signing of a Memorandum of Understanding on Development Cooperation between Australia and China in 2013 to enable practical collaboration on development issues in the Asia-Pacific region. Nearly 95 per cent of the PNG population live in areas of high risk for malaria. This often affects the most vulnerable and represents a major health and economic burden which profoundly impacts on the country’s development. The Australian aid program will contribute $4 million over three years, while China will provide technical expertise as well as an in-kind contribution over three years to fund this ground-breaking project. The project complements the Australian aid program’s focus on strengthening PNG’s health systems by improving the capacity of key PNG medical institutions to correctly diagnose and treat malaria. For decades, astronomers have been trying to determine what the Universe was like soon after the Big Bang -- understanding how the first stars and galaxies formed is crucial to this goal. While some astronomers are looking outward to galaxies billions of light years away to untangle this mystery, others are looking inward to the centre of our galaxy. If you've ever looked up at the night sky from a dark place you might see the centre of the Milky Way. There are billions of stars in our galaxy, and astronomers are interested in picking out the oldest stars and finding out about their chemical composition and movements. It had been thought that the very first stars formed in the centre of the galaxy, where the effects of gravity are strongest. But after decades of searches, astronomers found that most stars in the centre of our galaxy have a similar metal content of those much closer to us. While the stars at the centre of the galaxy are about seven billion years older than the Sun, they're still not old enough to understand what the conditions were like in the early Universe. Their best 23 candidates were all very metal-poor, leading the researchers to a larger telescope in the Atacama desert in Chile. From this data the team identified nine stars with a metal content less than one-thousandth of the amount seen in the Sun, including one with one-ten-thousandth the amount -- now the record breaker for the most metal-poor star in the centre of the galaxy. "If you could compress all the iron in the Sun to the size of your fist, some of these stars would contain just a tiny pebble by comparison," said Dr Andrew Casey of Cambridge's Institute of Astronomy, one of the study's co-authors. "They're very, very different kinds of stars." However, knowing that these stars have low amounts of metal wasn't enough to be certain that they formed very early in the Universe. They could be stars that formed much later in other parts of the galaxy that weren't as dense, and they are just now passing through the centre. To separate those possibilities, researchers measured distances and used precise measurements of the stars' movement in the sky to predict how the stars were moving, and where they had been in the past. "There are so many stars in the centre of our Galaxy -- finding these rare stars is really like looking for a needle in a haystack," said Casey. "But if we select these stars in the right way, it's like burning down the farm and sweeping up the needles with a magnet." "This work confirms that there are ancient stars in the centre of our Galaxy. The chemical signature imprinted on those stars tells us about an epoch in the Universe that's otherwise completely inaccessible," said Casey. "The Universe was probably very different early on, but to know by how much, we've really just got to find more of these stars: more needles in bigger haystacks." Seven centuries ago, an entire society performed one of the greatest vanishing acts in human history when they fled their homes in the American Southwest. Archaeologists are trying to work out why they left. Minister for Indigenous Affairs, Nigel Scullion, has welcomed a decision by the Australian War Memorial to rename its Western Gallery and Courtyard in honour of Captain Reginald ‘Reg’ Saunders MBE – the first Aboriginal serviceman to be promoted to a commissioned rank. The Reg Saunders Gallery and Courtyard was officially named at a ceremony to coincide with Remembrance Day at the Australian War Memorial today. “Reg, a member of the Gunditjmara people, was born near the Framlingham Aboriginal Reserve in Victoria. He followed his father, Chris, and uncle, William, into the military in 1940 when he enlisted in the second Australian Imperial Force,” Minister Scullion said. “His strong leadership skills were obvious early on and he quickly progressed through the ranks to lance corporal and then sergeant. “Reg fought first in Libya in 1940 and then in Greece in 1941 and was nominated for officer training by his commanding officer in 1944. “He attended officer training school in Seymour, graduating as a lieutenant in December 1944 – the first Aboriginal Australian to attain this level of command in the Australian Army. “He went on to serve in the Korean War, where he was promoted to captain, and resigned from the Army in 1954. Reg was appointed a Member of the British Empire in 1971 for his community service and died in 1990 aged 69. 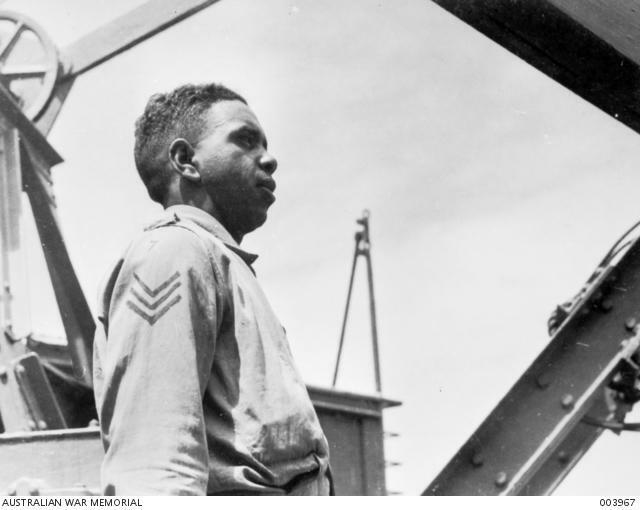 Thousands of Indigenous Australians served in Australia’s armed forces during World War Two and the Korean War. Last year’s national NAIDOC Week theme was Serving Country: Centenary and Beyond in honour of all Aboriginal and Torres Strait Islander men and women who have fought in defence of country. The University of Sydney team has been excavating at Nea Paphos for two decades under the auspices of Cyprus’ Department of Antiquities. In that time it has uncovered and studied a theatre used for performance and spectacle for more than 600 years until its destruction in AD 365. The theatre precinct was central to Roman activity in the city. The architecture of the theatre was adapted over the centuries according to contemporary tastes in dramatic performance, says Dr Barker. “At its maximum extent during the reign of the Antonine emperors of the 2nd century AD the theatre could seat more than 8500 spectators,” he said. While first rediscovered 20 years ago, the ancient theatre was recorded with pole photography and photogrammetric programs for the first time in September. This technology stitched together over two thousands individual high resolution photos with an accuracy of +/- 10mm. 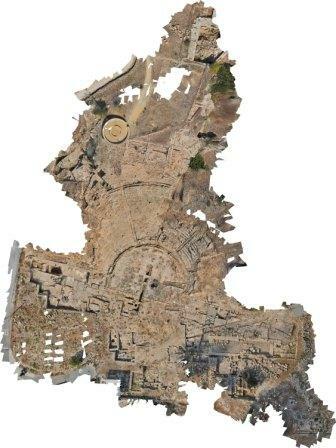 It created an orthographically correct 3D image of the ancient theatre and surrounding areas which will assist with planning future excavation zones and understanding the urban layout of the town. The Australian Competition and Consumer Commission has released a draft decision proposing to declare a Superfast Broadband Access Service (SBAS). Currently, some superfast broadband services are already declared, some are subject to carrier licence conditions, others are subject to ministerial exemptions with conditions, while still others aren’t regulated at all. “Declaring an SBAS will go some way to simplifying and clarifying the regulations that apply in this area, and give access seekers certainty about gaining wholesale access to services on these networks,” ACCC Chairman Rod Sims said. The ACCC proposes that telecommunications providers be allowed access to services with a downstream data rate normally more than 25 Mbps on all fixed line networks. Access will not be required where the network operator is already facing competition from alternative fixed network providers. “The ACCC considers declaration of an SBAS will promote the long-term interests of end-users because it is likely to promote competition between telecommunications providers supplying services to end-users,” Mr Sims said. as such services are, or soon will be, subject to other telecommunications access regulation under the Competition and Consumer Act 2010. The ACCC invites submissions on a number of aspects of the decision. In particular, comments are sought on the likely costs of complying with the declaration and whether it would be appropriate to exempt smaller providers on this basis. On 11 September 2014, the ACCC commenced a declaration inquiry into whether a superfast broadband access service, such as the very-high-bit-rate digital subscriber line (VDSL) service, should be regulated under the Competition and Consumer Act 2010. The ACCC commenced this declaration in response to competition concerns raised by the panel conducting the Independent Cost Benefit Analysis and Review of Regulation. On 6 May 2015, the ACCC released a discussion paper regarding the SBAS declaration inquiry. The discussion paper sought industry views regarding whether a SBAS should be declared and the scope of any service description. Nine submissions were received. The ACCC was required to declare the Local Bitstream Access Services (LBAS) under legislative amendments introduced in 2011, associated with the NBN and Part 7 of the Telecommunications Act 1997. The ACCC declared the LBAS in 2012. The LBAS declaration requires operators of fixed superfast broadband networks built, upgraded, altered or extended by more than 1 km after 1 January 2011 to provide access to a layer 2, 25/5 Mbps service upon request.